Flu Shots: Effective or Not? Flu shots are being pushed aggressively by doctors and pharmacies, and even the CDC. Some people take them as recommended, while others resist particularly when it comes to their children. What are flu shots, and how are they made? Seasonal influenza is usually caused by variants of Influenza A or Influenza B virus. Each has many subsets of proteins on their surface against which the body’s defensive antibodies can attack. Unfortunately, the number of possible variants is huge, and they recombine easily every season. The challenge for vaccine makers is to guess which of the subsets will show up this year; last year is not a strong indicator, so this is a crap shoot. If the vaccine is made against the wrong strain or strains prevalent in a given state or region (and they can vary from one coast to the other), effectiveness drops precipitously. Moreover, symptoms similar to flu — fever, muscle aches, sore throat, cough, even diarrhea — can be produced by viruses totally different than Influenza A or B variants. Flu shots are made from killed viruses that have been grown on egg media. FluMist is made from live weakened (attenuated) viruses which can spread to others, enhancing their immunity indirectly without causing illness. Some studies have shown that even unvaccinated people who never get symptoms can show antibody levels to the very viruses that are going around in the moment. So it is possible to develop immunity without having a shot or even getting flu itself! Normally, the gold standard of science is a double-blind placebo study. Flu shots are not measured that way; placebo can’t be given in public. It is possible to study vaccinated vs. unvaccinated groups of people, but both groups live in the same regions but can be of different ages and states of health. So the CDC studies measures of what they call “effectiveness” based on rates of doctors’ visits, hospitalizations, lab tests, etc. A major difficulty with this type of measuring stick is that 75% of people simply suffer through the flu without seeking the help of a doctor. People with health limitations skew effectiveness data around people seeking medical help. Personally I have followed periodic Morbidity and Mortality reports in California for many years until budget cuts stopped them. Over a decade or more, flu shot effectiveness have ranged between 15-25%, with one year that was 40%. Looked at another way, they fail about 75-85% of the time. Other states recorded, during the 2012-2013 season, effectiveness ranged between 39% and 66%. The states were Minnesota, Wisconsin, Washington, and Pennsylvania. CDC reports (again, based on doctor visits) showed 2004-2005 season was 10% effective. By 2014-2015, it was 33%. Last year, for the 2015-2016, CDC bragged about 59% effectiveness. These numbers suggest that flu shots generally fail more than half the time, though there seems to be some improvement over time. CDC has always emphasized that other factors influence effectiveness. Flu shots are less effective in people with chronic illness such as diabetes or chronic lung disease, even though CDC urges flu shots in these populations. Another paradox is their recommendation of flu shots for the elderly, even though results show less effectiveness in people 65 or older. What about FluMist? In previous years CDC reported FluMist as being equivalent in effectiveness as shots. This year, though, the CDC Advisory Board urges people not to use FluMist because during 2015-2016, FluMist effectiveness was 46% compared to 65% for the shots. Of course, considering vagaries of focusing on doctor visits as a measure makes these numbers relatively trivial; 46% is within the normal range for shots over the years. CDC has kept track of one side effect: anaphylaxis (life-threatening allergic reaction) occurred in 33 cases of 24 million. There are other side effects, however. I know in my practice it is quite common for people to report flu-like symptoms immediately after receiving the shot. That was especially true in the 2014-2015 season. Guillain-Barre Syndrome is a seriously crippling neurological disease known to follow flu shots in rare instances. This was the Number One cause of compensation paid according to the National Childhood Vaccine Injury Act of 1986 — $3.3 billion in payments. 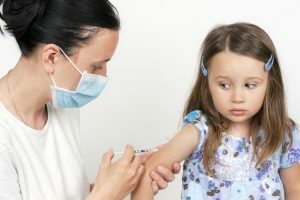 Canadian officials in 2010 reported that school-age children and young adults who had had a flu shot in the previous year were at twice the risk of the more serious pandemic swine flu in 2009. Some have expressed concern about people with allergy to egg being at risk from flu shots cultured on eggs. In actual fact, observed reactions have been rare and very mild according to the CDC. Everyone can make there own decision given information just elucidated. CDC does make a strong recommendation that everyone should get a flu shot every year. Unfortunately, effectiveness is relatively low by pharmaceutical standards. Also, what measures exist are questionable; doctor visits don’t represent the 75% of people who just suffer through the flu on their own. So scientific validation in favor of flu shots is lacking. Don’t forget! If you do get the flu, eremedyonline.com does offer a very effective rapid relief DIRECTLY by using your cellphone or digital device! Answer some individualizing questions, then play the chosen MP3 eRemedy directly on your device. Relief typically begins within minutes and is dramatic within a few hours! Be sure to share your results with others! Mdinyourhands for influensa just worked perfectly for me, was much better next day and almost totally good after 3 days. I tried remedies in cough, baby delivering’s situations and it worked unbelievable good for me. Thank you all who developing this site. You are my first doctor! Missing some remedy for eye problematic. Thank you for the feedback! I am happy it has helped you!